Some of my favorite memories from when I was growing up were from Summer Camp. I went to Camp Cherith (?) for a year or two, and then went to Trout Lake Camp for several years. I don’t remember much from the first camp, other than that I got to ride horses. Trout Lake was my home away from home in the summers! I don’t know how many years I ACTUALLY went, but it seemed like my whole life! I had so many friends from camp. I couldn’t wait to go back every year! Some of my friends from church went every year, some from school went, and then there were the same kids that went the same week every year. Those were the ones we couldn’t wait to go to camp to see again! I was even able to reconnect with some of my old Trout Lake friends at Bethel College now called Bethel University (both being associated with the Baptist General Conference, it’s no surprise some of the same people attended both). One of my closest friends from camp was Eric Stevens, whose funeral I attended a few years back… He will be the topic of another blog at a later date. 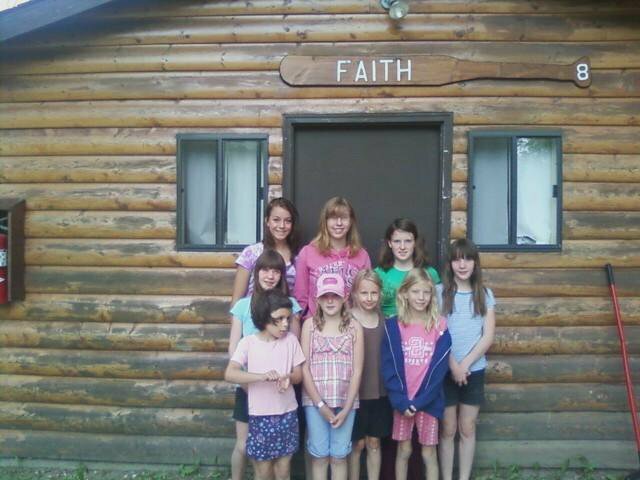 Besides the numerous friendships made there, Trout Lake Camp was a place where my spiritual life really grew. I experienced God there in ways I can’t even describe! I remember being in Chapel one night, and a bat came in and flew around the chapel… We were all convinced it was somehow Satan trying to send us a message. We started praying, and the bat flew away… To tell the story, it doesn’t sound like much, but I remember the experience so clearly – we were sure that God was in that room, protecting us all from this most likely rabid bat. I can remember being there during the Fall on a Youth Group Retreat; something about the music and pastors speaking impacted me in a way that literally brought me to tears. There was something about the freedom of not having parents there, mixed with the limits put on us by the Counselors, the awesome experiences of Chapel and our small groups, riding horses, making crafts, playing games, the friendships… It was an experience every child should have! Last year, Grace and my niece, Tori, went up together. My Mom serves on the board for the camp. Since my Grandpa’s cabin is just past the camp grounds, she stayed there, and helped out at the camp. It was a huge comfort to me knowing that Grace would have a connection to home if she got homesick. All I heard about was how much fun she had, all about her new friends, etc… She couldn’t wait to go back again to see them! Ahh.. just like my experiences!!! This year, she and Tori went again. My Mom was up there again, but spent more time telecommuting from the cabin into work, less time at the Camp. When they got back, I heard about how the girls fought the last day (after camp got out, they stayed an extra night at the cabin). Grace walked in the door, dropped her stuff, handed me a letter she wrote to me, did the same for Michael, and then said, “Mom, can I go to Rachel’s?” Seriously??? Gone for a week, and I barely get a hug and a hello? ?